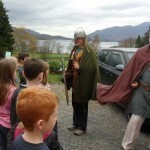 Derwentwater Independent Hostel (DIH), in the Borrowdale Valley, Keswick received two grants from the Cumberland Building Society Charitable Trust and the Quarry Hill Grassroots Grant Fund in 2014 to provide educational and adventure residential for schools within Allerdale. The combined grant of £1,340 has already allowed Richmond Hill Primary School and Oughterside Foundation School to take part in one and two night residential trips to the hostel’s grounds, Barrow House. Allonby Primary School and Ashfield Junior School will also have their own residential at DIH in April and May this year with the funding from Cumbria Community Foundation. 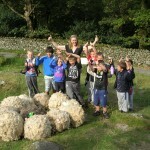 DIH works with a number of local organisations and businesses to create an expansive educational experience for the children on the residential including; C-Art, Glaramara Activity Centre, Plattypuss, Keswick Mountain Rescue and the Search and Rescue Dog Team and Cumbria Wildlife Trust. Katy Moore, DIH Education Officer said: “The DIH Fund for 360° Education + Adventure residential has given more young people access to learning opportunities, and provided more resources and ideas for teachers. The Allonby Primary School residential will involve Mick Guy from the Keswick Mountain Rescue and the Search and Rescue Dog Team. Mick will carry out a session with the children on the grounds of DIH, all for a donation from the CCF grant. The Ashfield residential includes a subsidised activity day in our grounds, exploring the history and geography of the local environment. 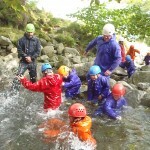 Cumbria Wildlife Trust and the National Trust will deliver two of the activities. The involvement of these different charitable organisations will help increase awareness of their work and the opportunities they offer, volunteering for example.” Said Katy.